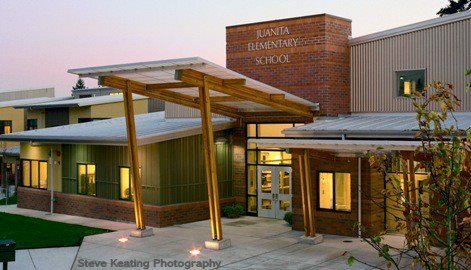 We would love to have you join our Juanita PTA! If you would like to join online, you can pay via PayPal and complete the registration information that follows. Research shows that children whose parents are involved in their school make better grades and have fewer disciplinary problems at school. When parents get plugged in at school, their children do better. Schools are becoming more and more dependent on parent groups. The parent groups are responsible for almost all of the school’s fundraising revenue. They provide support to teachers and administrators, and they create a caring and supportive atmosphere in the school. There’s no better way to know what’s going on in the school than to be on the school’s parent teacher group. You’ll be first to hear about important decisions and changes the school is thinking about making, and you will get to know teachers and administrators on a familiar basis. Every parent group function is an opportunity to meet other parents in the same situation as you. You will be connected with a group of parents who share a common goal of improving the school for the children. By volunteering with the PTA, you’ll be able to use your skills for a noble cause. Parent groups work to establish a supportive and encouraging community for the entire school. The goal is to create the most educational environment possible for your children. You’ll connect with a group of people who are all concerned with creating a better environment for their children. You will help plan fun events, socials and get togethers that the whole family can attend. You’ll show your children that not only are they important to you, but their education is as well. They’ll see you taking a stand to make education better for them and their peers, and chances are they’ll do the same. The PTA fundraises to provide more educational services for children. Fundraisers remain important to improving the quality of the school overall, and parent groups make them possible. parents. There are a variety of small ways parents can help and be involved in the PTA. Project responsibilities are flexible and can be adjusted to fit with your time constraints. Your voice and opinion matters! It makes a difference when you speak up. Your voice and ideas can help improve the quality of education for your children and their peers. You’ll see the smiles on their faces and know that you’ve played a part in making school a little more comfortable and fun.